Celebrating Diversity will open minds and hearts to the huge benefits of living in diverse Britain today, asking us all to engage with one another and share our values and traditions. It provides a roadmap for this with practical examples drawn from real life, and challenges the blocks of resistance created by ignorance, mistrust and fear. This is an important resource for employees, parents, teachers, recruiters, neighbours, diversity managers, leaders, change consultants, ministers and reflective people from all walks of life. Celebrating Diversity opens a whole new world of opportunity. 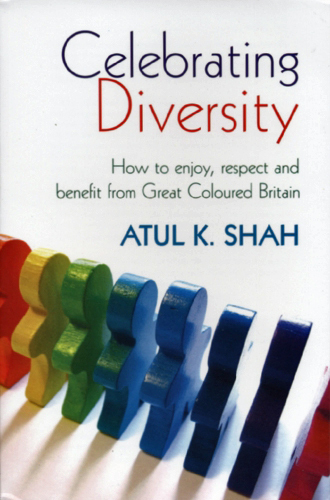 Dr Atul K. Shah is an educator, social entrepreneur, scholar and broadcaster, an adviser to the BBC and a Fellow of the Royal Society of Arts.